Telescope brand sand chair will recline completely back to a flat position. Telescope brand sand chair will recline completely back to a flat position. Chair is low and close to the sand. Lightweight and easy to carry to the beach. 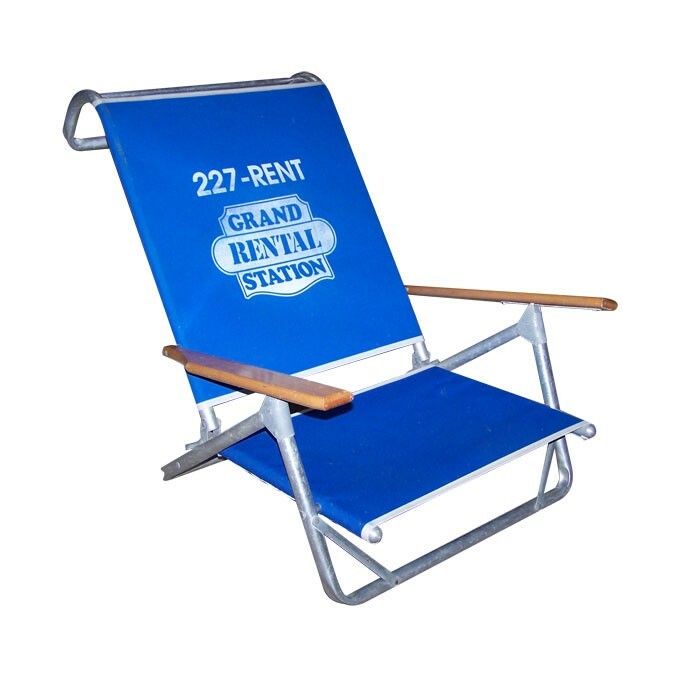 You can also rent one of our beach wagons to make it easy to get all of those items to the beach.